UK immigration consultants - why employ a visa agent in Thailand ? HomeUK Visa Information BlogUK immigration Consultants – why employ a visa agent? Why do I need to consult with a UK immigration consultant for a UK Visa? 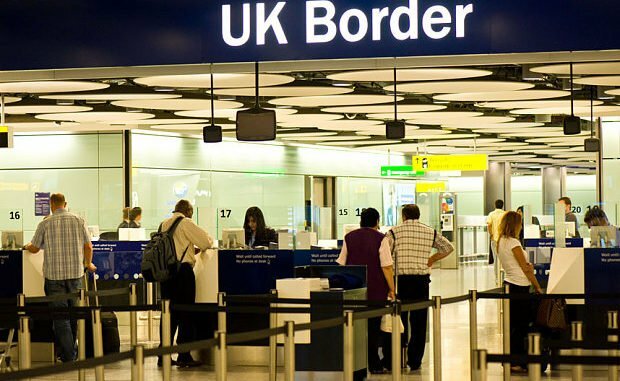 If you are requiring any UK Border Agency Visa, the whole application process can be stressful especially if there is a lot riding on the outcome. You will want to do all you can to ensure that everything is correct and in order and this will naturally cause some trepidation. This is where using the services of a professional visa consultancy firm in Thailand can be beneficial. This can take away a great deal of the stress and give you a greater chance of obtaining a visa for the UK for your loved ones. You can get immigration advice if you need help with getting permission to stay in the UK. Immigration advisers can help you with most things to do with immigration, including helping you to fill in the right forms and representing you at a tribunal. Advisers don’t make immigration decisions and can only give you advice. If the type of UK visa that you require for is your Thai girlfriend, Thai wife or Thai partner the stress can be increased as in some cases there may be language barriers or other Thai dependents involved. At Thai Visa Express, we are the only UK OISC accredited company in Thailand and have offices in Thailand in the UK. We have several years’ experience in ensuring that our clients’ applications are successful. So, if you are looking for a UK Tourist Visa, a UK Spouse Visa or a UK Settlement Visa, then we are the people you should be talking to. keep up to date with current immigration advice. OISC maintains a register of the immigration advisers that they regulate. You can find OISC-registered advisers in your area. Check if the adviser charges a fee. By law, immigration advisers must be registered with OISC or a member of an approved professional body, for example the Law Society. As a professional visa company in Thailand, we deal with the British Embassy on a daily basis. With UK Visa rules subject to change at short notice we are often the first people to know of such changes and as such, can respond to our clients’ circumstances. We know exactly how to complete the application forms as well as knowing what other documents may be required. This will help the whole process run smoothly and reduce the chance of delays. As a professional visa company in Thailand, at your FREE 30-minute initial consultation, we will give you an honest assessment of your chances of success. Our experience and confidence in our knowledge mean that we offer a “no visa, no agency fee” guarantee. If you are looking at obtaining a long-term visa for the UK such as a UK Spouse Visa or UK Settlement Visa, we can inform you of the special requirements. This includes the financial requirements for you and your Thai wife as well as details about the Key English Test that can be taken here in Thailand. If you can fulfil these requirements, then we can help you obtain firstly your initial UK Spouse Visa and then your UK Settlement Visa. There are lots of companies that claim to offer UK visa services in Thailand but many are simply out to make money and offer little to no advice or assistance. Here at Thai Visa Express, as the only UK OISC accredited company in Thailand, we don’t just claim to be able to get you a UK Spouse Visa, if you meet the requirements, we will make it happen. So, if you would like more information, call us on: +66 (0)80 102 2328, +66 (0) 38 420 313 or +44 (0) 20 8133 8059, email us on: info@thaivisaexpress.com or alternatively contact us via our website. What UK visa do I need for my Thai Partner ?